MyCosmos star ceilings are handcrafted and fully equipped with glass fibers up to 7 different diameters, many unique LED sources and the latest technology with the most silent control. We use a unique electronic twinkle for the most realistic star effect, so no mechanical twinkle wheel where stars go on and off, which also makes noise. 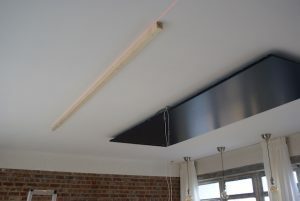 We mount the star ceilings against any ceiling and you can also easily place it yourself with one of many installation methods suggested by MyCosmos. 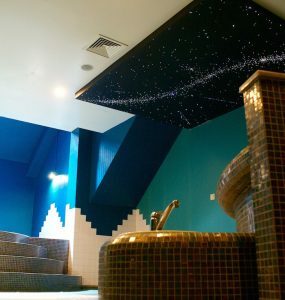 Each ceiling is made in a limited quantity of exactly 1, each customer gets a unique ceiling art with constellations of your choosing. Below are a number of options, possibilities and specifications. The unique backup system of MyCosmos ensures that every star will always shine, even if half of the LED sources would fail, with a dual control and dual power supply these star ceilings are build to last 10 or even 20 years. 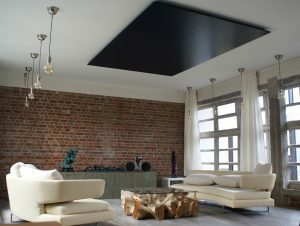 Wood specially manufactured for ceilings, because it is half lighter than MDF. Depending on the star ceiling project, it is applied in different thickness and size. We use professional paint and you can determine the color of the ceiling yourself. With a white ceiling, it is good to know that the stars are less beautiful in daylight, but in the dark it makes little difference. 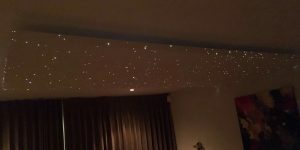 With a dark, black or night blue color, the stars also look nice when there is light in the room, but the starry night sky ceiling is always the most beautiful when it is very dark. Wood that is suitable for humid areas and can be used outdoors. It is applied in different thickness and size. We have developed a unique method to create a seamless ceiling with the most amount of stars per square meter / feet in the world. 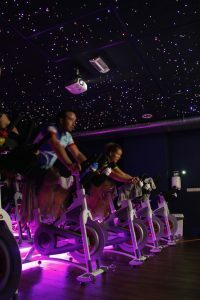 The fragile glass fibers, LED lighting and mounting frame are very fixed in a special way that the stars even shine where they a squashed against the ceiling fixation. As a result, there are no interruptions in the star constellations and you will not get a panel effect, but one giant galaxy. A panel of powder coated aluminum for a very luxurious finish and appearance. For the bottom of the pool and a beautiful floor that twinkle in the night, we have a special method to achieve a magic star lighting in an almost impossible places. Glaswol / stone wool panels in almost any size with hidden profile, measured in companies for acoustic performance and easy access behind the ceiling. Acoustic panels in different colors and in large formats with a 4 cm edge finish. 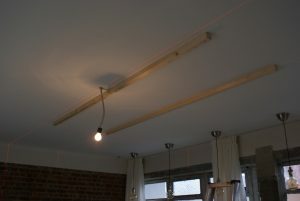 This is a very simple ceiling mounting sollution. Hundreds and thousands of stars. Twinkle speed ​​adjustable from 0 to 100%, watch the video with the speed at 85%. The shooting stars pas by every 100 seconds, also possible with timer setting. 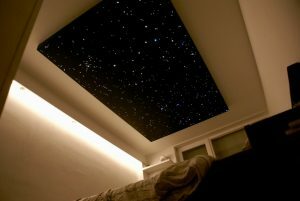 Create your own star ceiling?